Clone previous eAuctions or create from new and upload supplier lists via Excel. 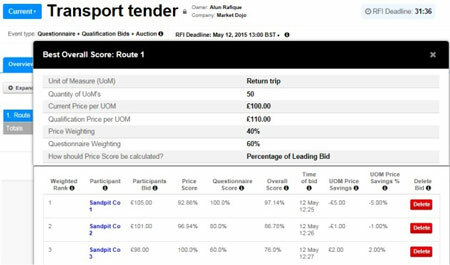 Choose either price only or include complex weightings, using our with linear scoring mechanisms developed from our grant with the Technology Strategy Board. Test your event in the sandpit before going live. 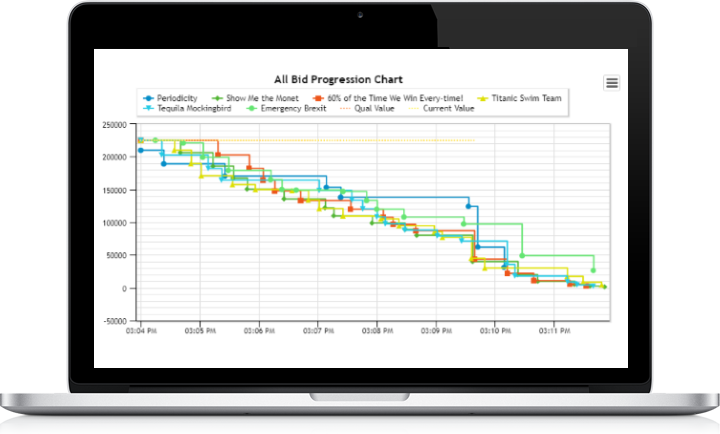 Manage the eAuction yourself with simple, yet comprehensive controls. Let suppliers secure call-offs from within Framework Agreements by providing you with the lowest market cost. 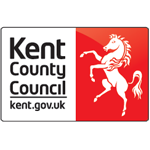 WHAT KENT COUNTY COUNCIL SAY? 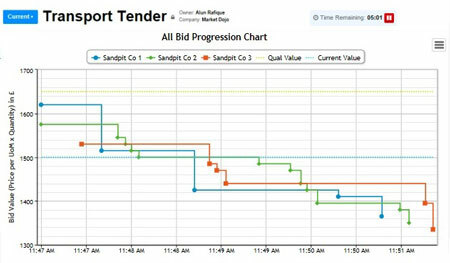 "The eAuction platform provided by Market Dojo has enabled us to drive further efficiencies in our Procurement processes at a time when budgets are under tight constraints. The training and support they have provided has been invaluable and allowed us to run events in complex procurements. We look forward to working with them further on future events to continue to deliver increased efficiencies."